Taiwan Air Force announces the establishment of Air Force anti-submarine group. Taiwan's Ministry of National Defense announced the establishment of an Air Force anti-submarine group, maintained by eleven S-2T Turbo Tracker anti-submarine planes transferred from the Navy. The announcement was made by Chief of the General Staff Gen. Yen Ming during a commissioning ceremony at an air force base in Pingtung County, southern Taiwan. The main missions of the anti-submarine group will include countering the threat of submarine attack by opposing forces. The Turbo Trackers were originally built by the Grumman company (now Northrop Grumman). The commissioning of the new group was made in advance of the delivery of 12 P-3C Orions, the first is expected to be delivered from US Navy surplus by the end of 2013 and the entire delivery is expected to complete in 2014. 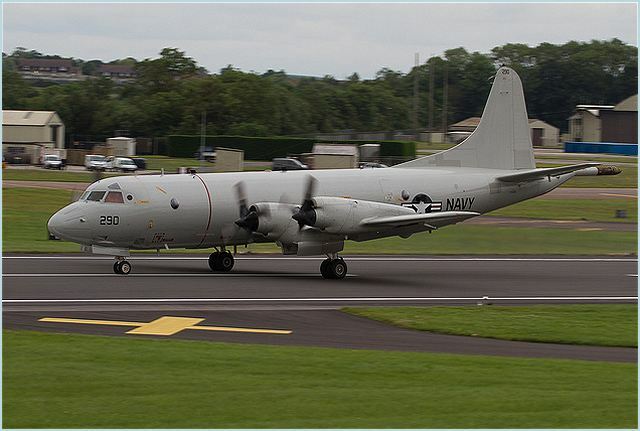 The delivery of the P-3C was approved by the U.S. government in 2007, under a US$1.96 billion foreign military sale program. Upgrades to the aircraft involved installation of new mission system avionics and service life extension kits to extend the operational life for 15,000 additional flight hours. Lockheed will also install complimentary navigation message ECP to update RINU-G and control display unit software for a message set. The Harpoon Block 2 missile requires the new message set for precision targeting. Other elements of the package include upgrades to the ALR-97/electronic support measures and ALR-95 system, as well as an upgrading of Mode 4 software to Mode-T.